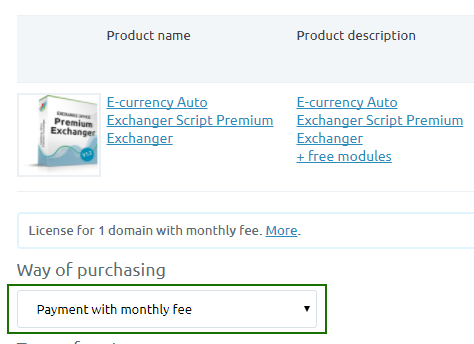 PremiumExchanger.com – How to buy a script? How to buy a script? 1. Register or log in if you have already registered. 2. Press «Buy» button on the script page. Payment with no monthly fee: a free license for 1 domain with no aspirational date; pay once for everything; all modules and merchants are free. Payment with monthly fee: license for 1 domain with monthly fee; minimum term of rent is 3 months; discount if several month are paid in advance; all modules and merchants are free. 4. Set the list of additional services. In case you need hosting or domain registration hosting, fill in the personal data of the owner. Data will not be transferred to third parties and will be used for hosting / domain registration at a hosting provider. Registration is impossible without the data. If you have chosen the domain registration, you need to specify the domain name. You can leave this field empty in case you have no requests. We will help you to get a free domain. Follow the recommendations of the selected payment system. 6. The section «Your scripts» has the paid products that you can download. 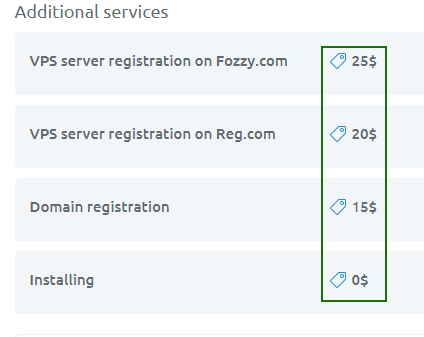 If you have ordered installation services for server, server or domain registration, the manager will contact you to agree on details of the order in the nearest time.